As with all sweet overage deals, the company may choose to pull the coupon before the Walgreens sale starts. Be sure to print this coupon off as soon as possible! 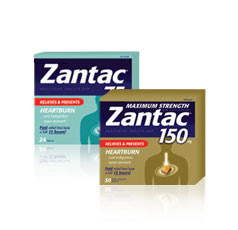 Don’t need Zantac? Buy it for the profit and donate it to someone who could use it. Rite Aid also has this deal starting on the 18th as a Rebate Check. Anon: They do not take competitor's coupons. Where can I find the Walgreens booklet? Thanks!